The final report from the Health Data Exploration project has been published by the Robert Wood Johnson Foundation! Health-related data is being tracked more and more as the number of wearable devices and smartphone apps increase. 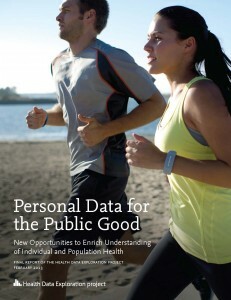 Our report, Personal Data for the Public Good: New Opportunities to Enrich Understanding of Individual and Population Health, examines attitudes towards personal health data from the individuals who track personal health data, the companies involved in self-tracking devices, apps, or services, and the researchers who might use the data. 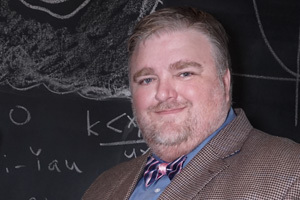 Three of us in the Department of Informatics at UC Irvine (Scout Calvert, Judith Gregory and I) collaborated with researchers at the California Institute for Telecommunications and Information Technology (Calit2) at UCSD (Kevin Patrick, PI) to produce the report. Individuals were very willing to share their self-tracking data for research. However, the dominant condition (57%) for making their PHD available for research was an assurance of privacy for their data. Over 90 percent of respondents said that it was important that the data be anonymous. This study showed that the current methods of informed consent are challenged by the ways PHD is being used and reused in research. Researchers are enthusiastic about using PHD in research but are most concerned about the validity of PHD and lack of standardization of devices. 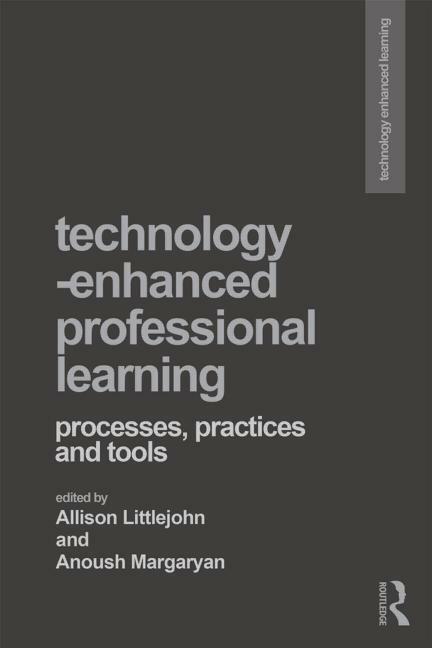 My chapter titled “Distributed Work: Working and Learning at a Distance” has been published in Technology-Enhanced Professional Learning, edited by Allison Littlejohn and Anoush Margaryan. Abstract: Working at a distance has become commonplace. Co-workers may be spread around the world, perhaps never meeting face-to-face. Networked communication technologies are being used to support new ways of working in increasingly global organisations. This chapter provides an overview of the psychological and social challenges of working at a distance. It also discusses new organisational forms and types of distributed work that take advantage of distributed working arrangements. The chapter explores the implications of distributed work for professional learning, including impacts on training programs, organizational learning, and individual learning. The chapter concludes with a discussion of the potential of new technologies to support and improve professional learning in distributed organizations. You can purchase the book from Routledge or Amazon. 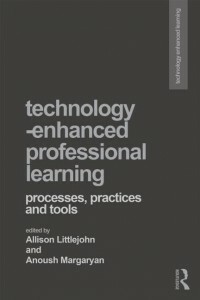 My chapter titled “Distributed Work: Working and Learning at a Distance” has been accepted for publication in Technology-Enhanced Professional Learning, edited by Allison Littlejohn and Anoush Margaryan, to be published by Routledge.